As we approach the end of the special legislative session, it’s time for the final appeal to the state Legislature to address the state’s “byzantine” school finance system and to remind them that any school finance solution must include the more than 141,000 Texas students on waiting lists for public charter schools. We must also remind the Legislature that the nearly 273,000 students attending a public charter schools receive $1,400 less taxpayer funding, on average, than their peers in school districts. These students are public school students, and they are not worth less than their peers at traditional school districts. Some have strongly called for property tax relief during this special legislative session. We agree, as public charter school parents are not immune to this need. Students enrolled in public charter schools have parents paying property taxes, just like the parents of students in school districts. Those taxes support schools their children do not attend, and their chosen public schools receive no direct state support for their public charter school classrooms. While public charter schools receive zero in facilities funding, traditional public schools received $6 billion for the 2015-16 school year. Public charter schools are the only part of the Texas public school system that does not receive any direct support for facilities funding. Public charter schools are forced to use state funding meant for classroom instruction to pay for the actual classroom itself. We empathize with fast-growth school districts when they state their local property taxpayers suffer from a lack of state support. We know exactly what they mean. Like fast-growth school districts, public charter school enrollment far outpaces traditional public school growth — at a rate of 12 percent annually, as compared to two percent for overall public education. One primary reason for this growth and demand are great student outcomes. Last week, CREDO released its study, Charter School Performance in Texas, showing that students at charters outperform their school district peers in reading and have closed the gap in math. Further, poor and minority students at charters are outpacing their district peers, particularly Hispanic students in poverty. 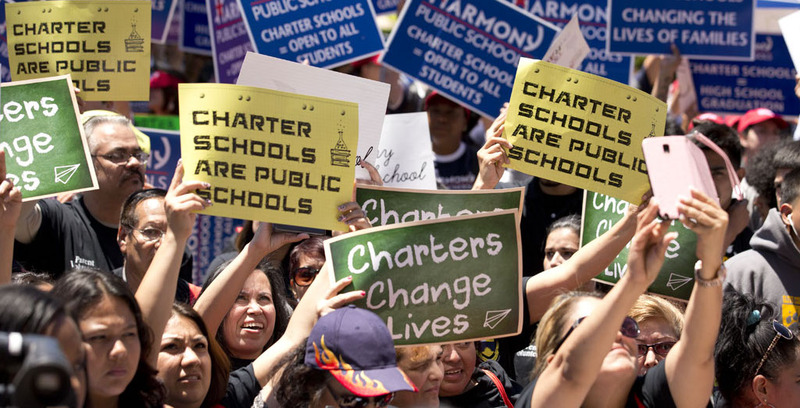 Even with a 22-year record of growth, student outcomes, and parental demand, public charter schools are still not recognized by some as fully part of the public education system and quite frankly, enough is enough. Students at charter schools should not be penalized because parents select the best school that meets their needs. Gov. Greg Abbott has given the Legislature the authority to tackle reforming the school finance system during the special legislative session. The Senate and the House have filed bills attempting reform, but any final legislation on public school finance must include meaningful relief in the form of facilities funds. It is high time the state stop shortchanging students at public charter schools.